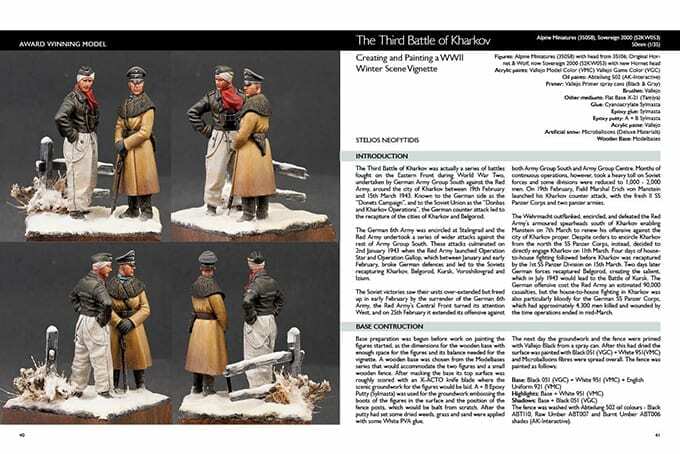 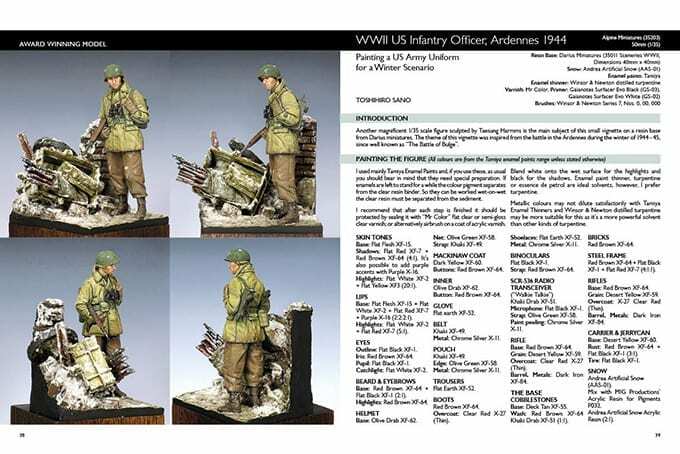 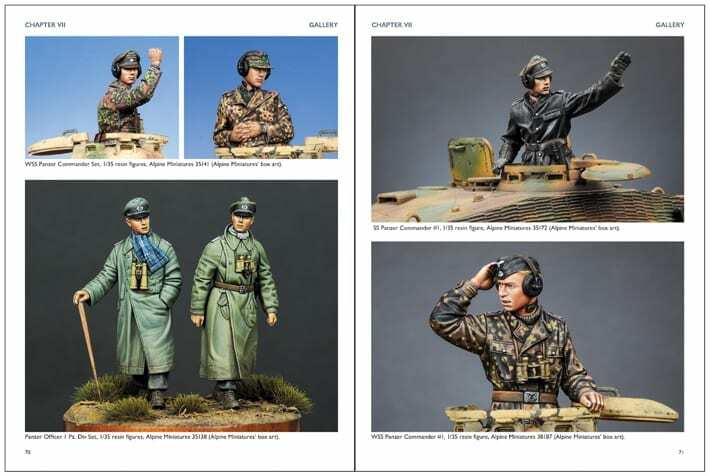 They decided to celebrate their 20th edition in the Figure Modelling series by featuring only WWI and WWII themes, which are our two most popular periods. 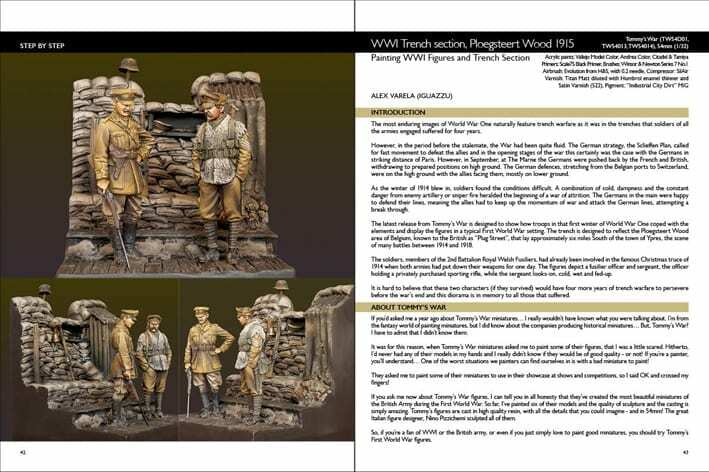 They have 11 different articles herein – five on WWI and six on WWII. 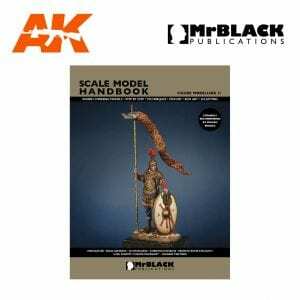 This is the ninth edition in the Scale Model Handbook series, dedicated to modelling miniature figures and Figure Modelling 9 covers a variety of themes and historical periods. 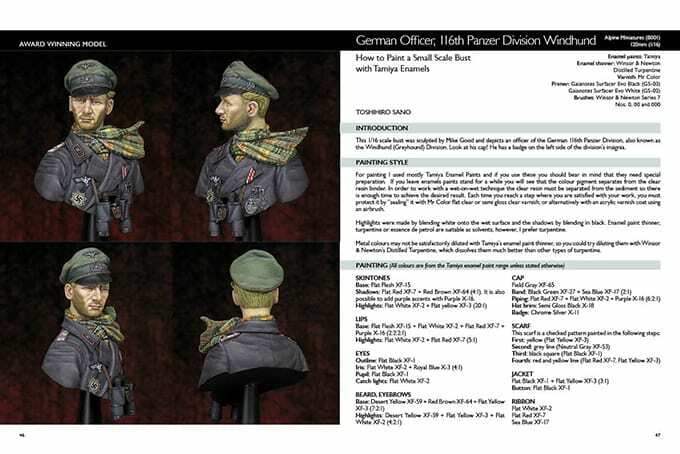 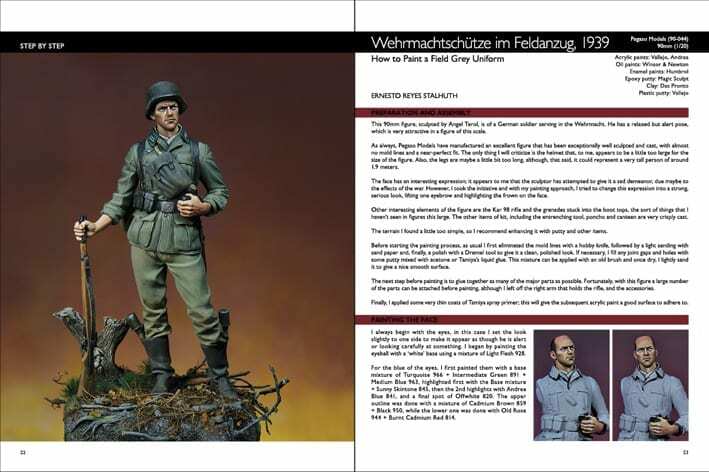 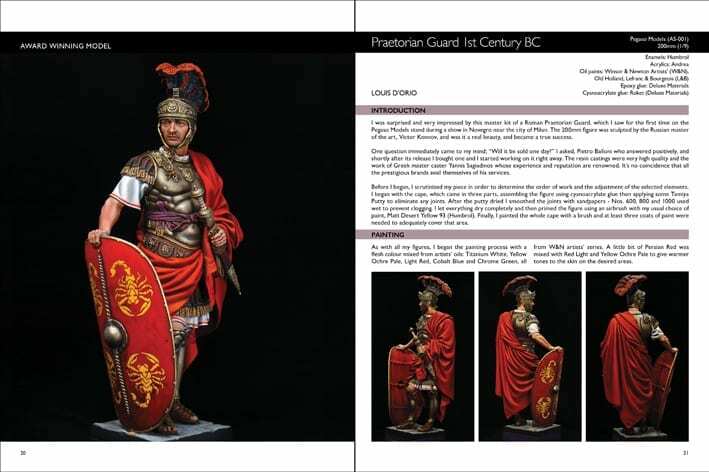 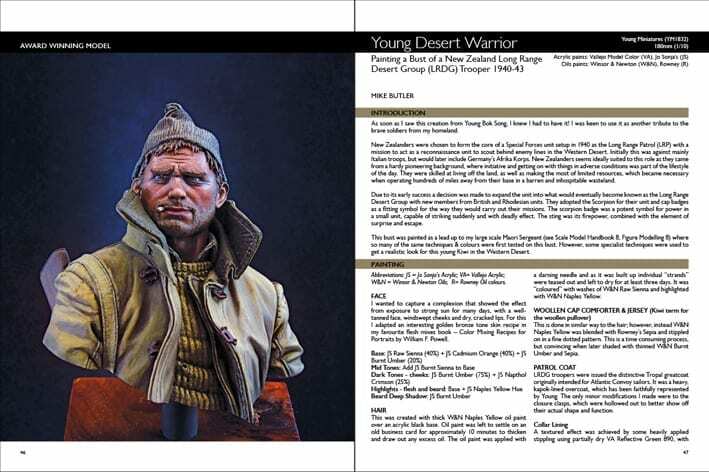 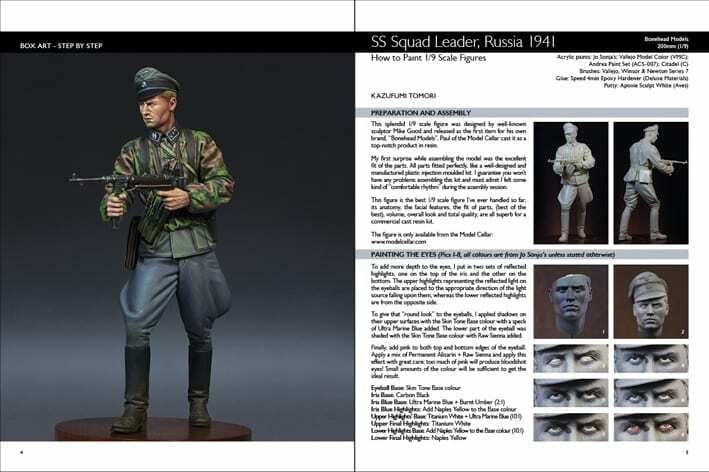 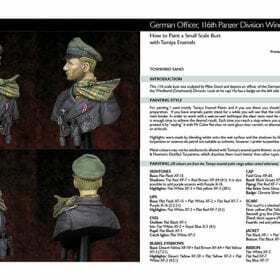 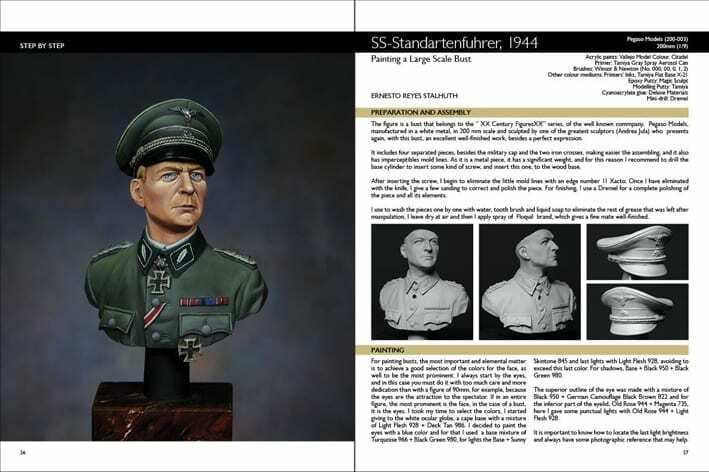 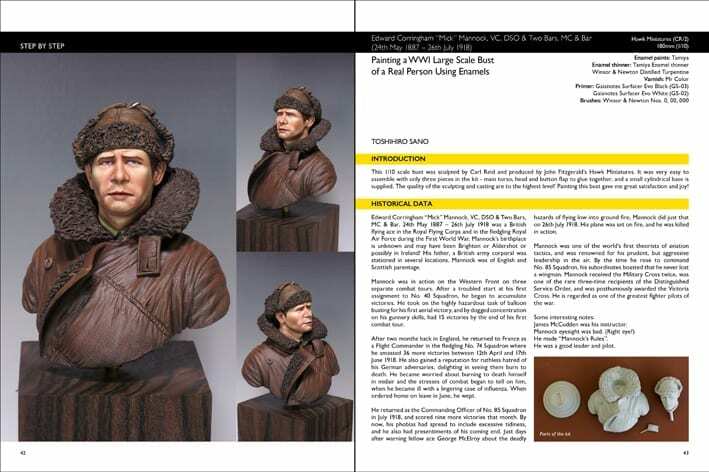 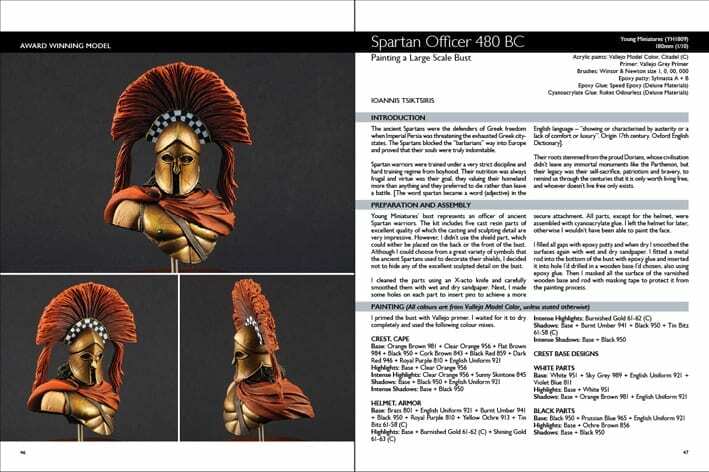 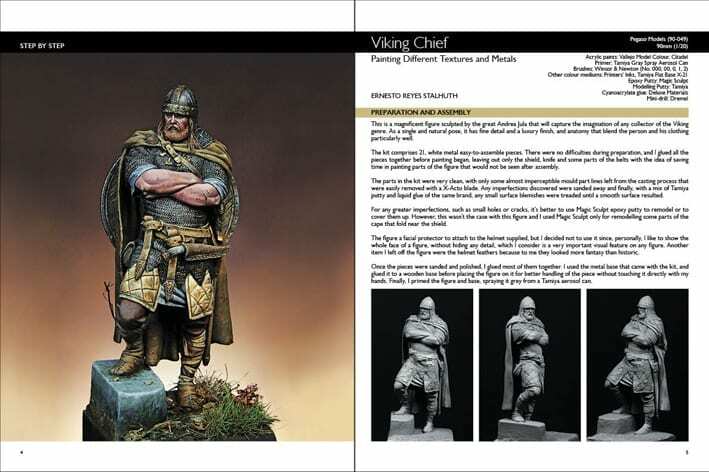 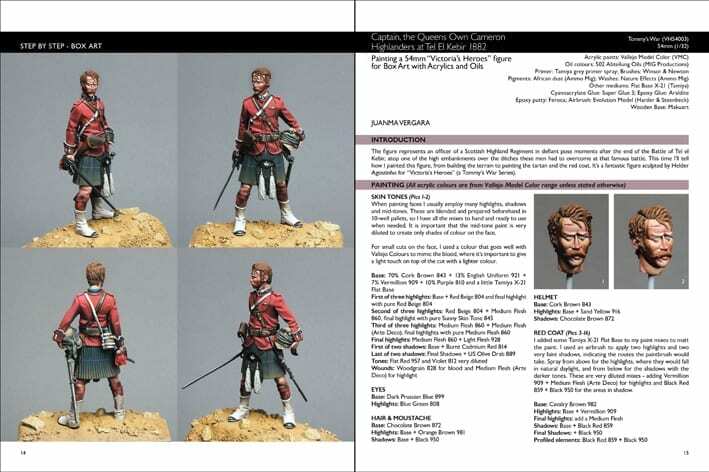 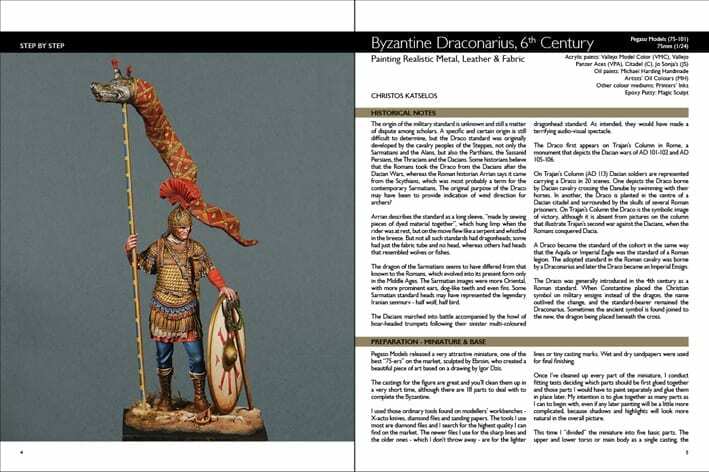 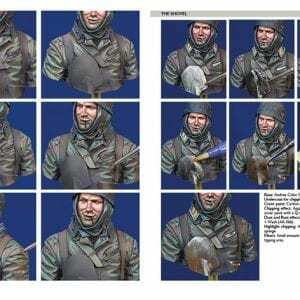 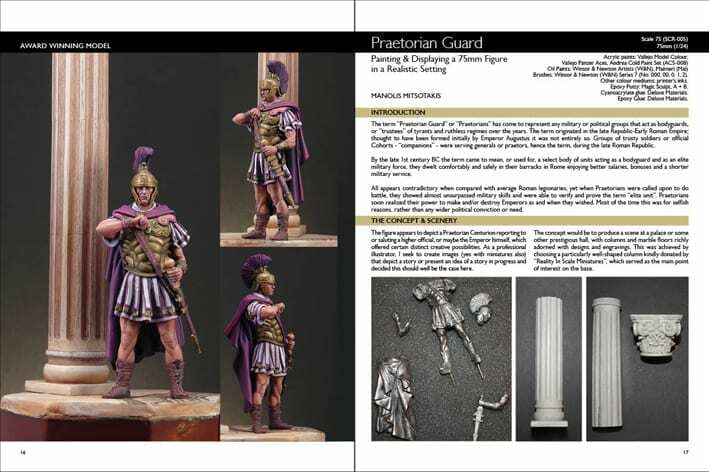 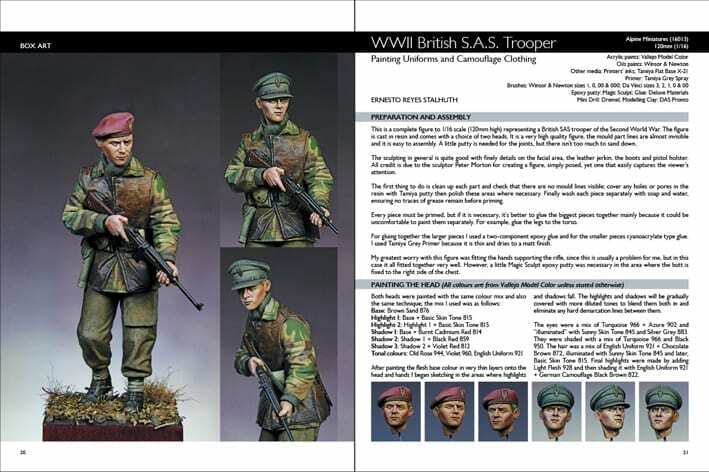 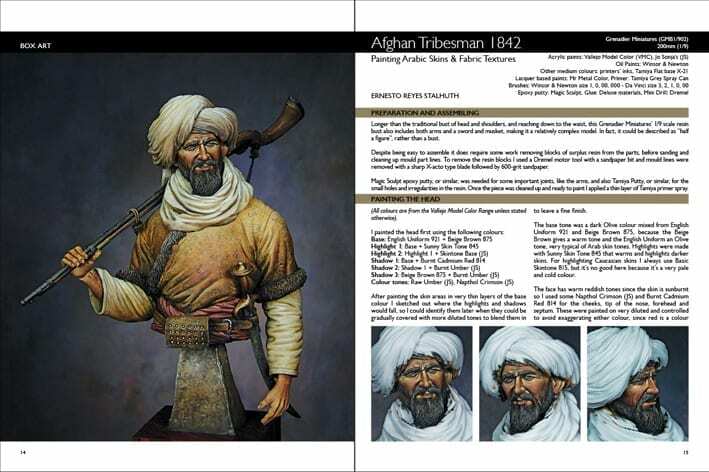 Their cover subject – a 54mm mounted figure from Pegaso Models – is featured over 20 pages of this edition where the gifted and very talented artist Ernesto Reyes Stalhuth provides a complete painting guide. 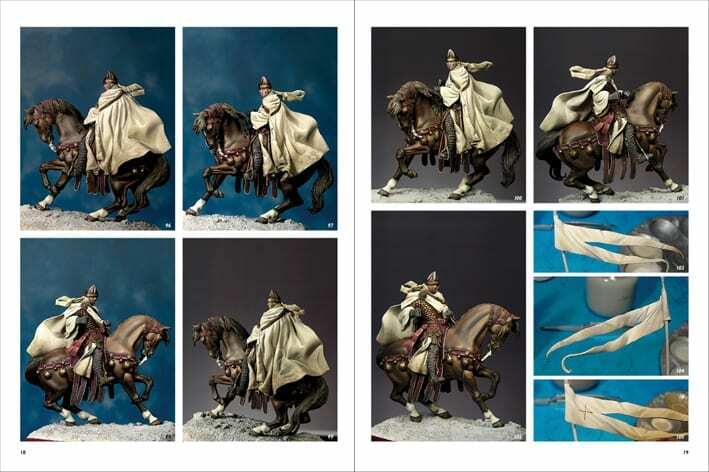 The 117 step-by-step photos display every tiny detail, from the construction of the horse and rider, the base and groundwork to the exquisite painting sequences using acrylics, oils and printers inks. 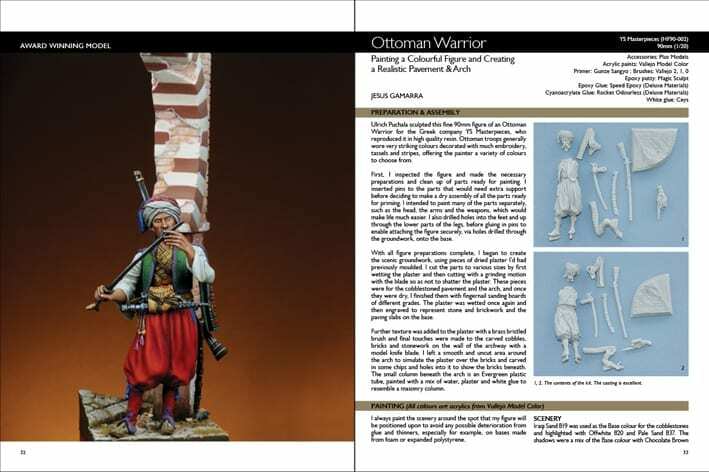 Even if you are an experienced modeller or newcomer to the hobby, this article offers much of interest. 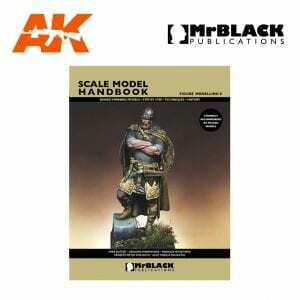 They have reached the 15th book in the “Scale Model Handbook” series where, since the first book we have presented lots of information, tips and techniques about modelling miniature figures. 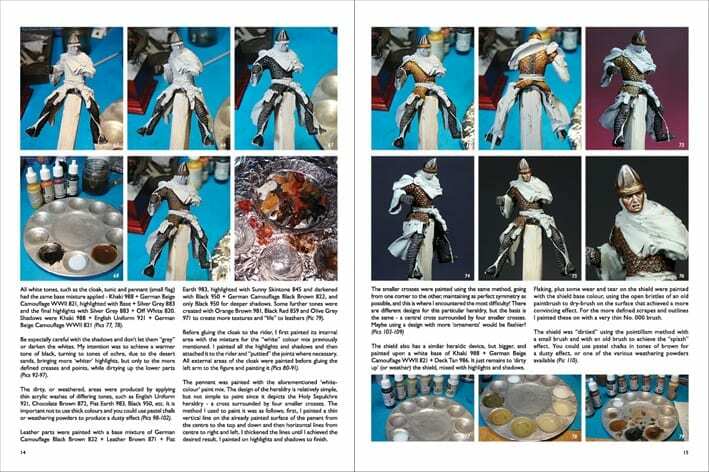 This time they have gathered seven articles from seven well-known artists from around the World. 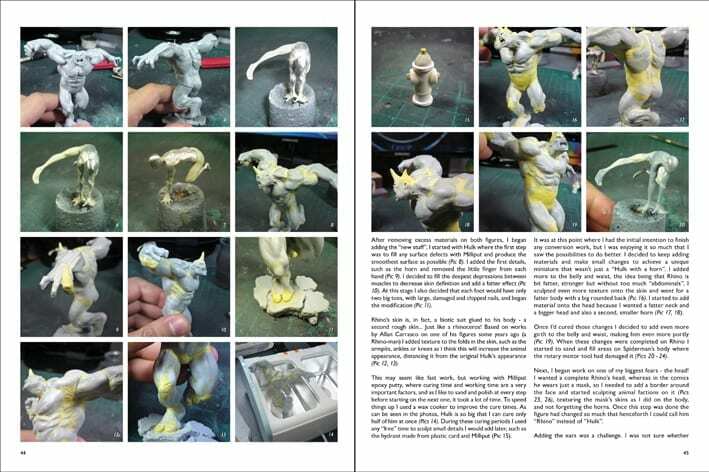 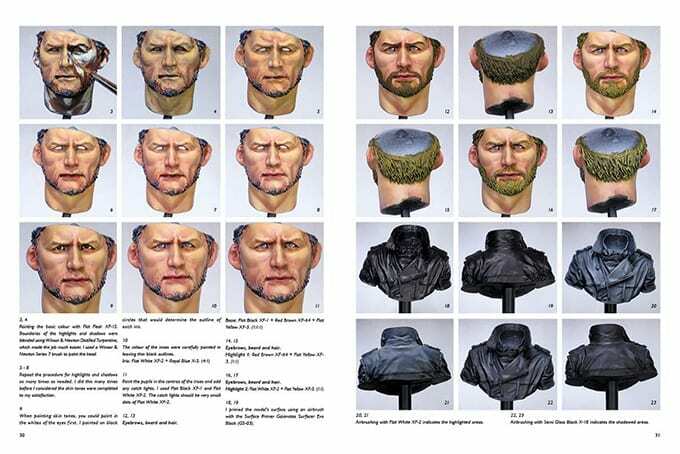 Four of them are covered in great detail with lots of step-by-step photos, which help the reader to follow different techniques about painting, sculpting, converting and making those unique scenic bases. 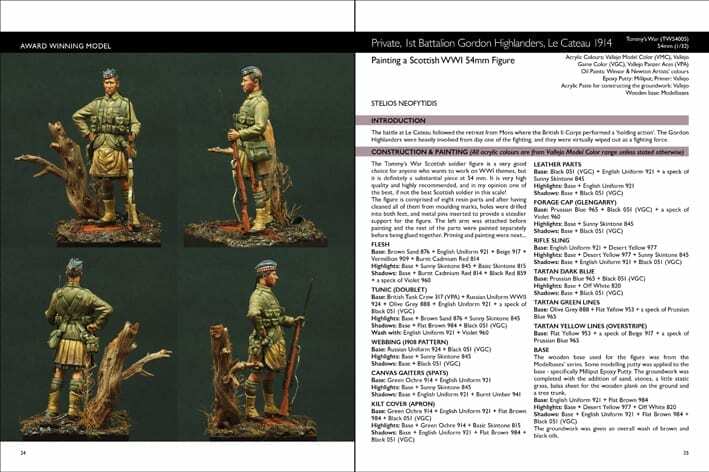 They are pleased to welcome a new contributor to this edition, Stelios Neofytidis, who painted a Private of the 1st Battalion Gordon Highlanders, “Le Cateau” 1914 from Tommys War 54mm Figure Series. 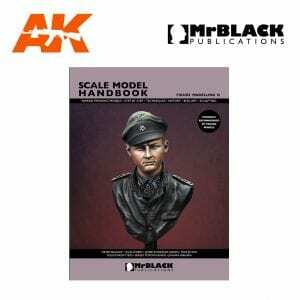 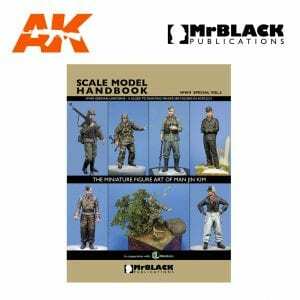 Welcome to the latest WWII Special, Vol.2 in the Scale Model Handbook Series from Mr Black Publications Editions. 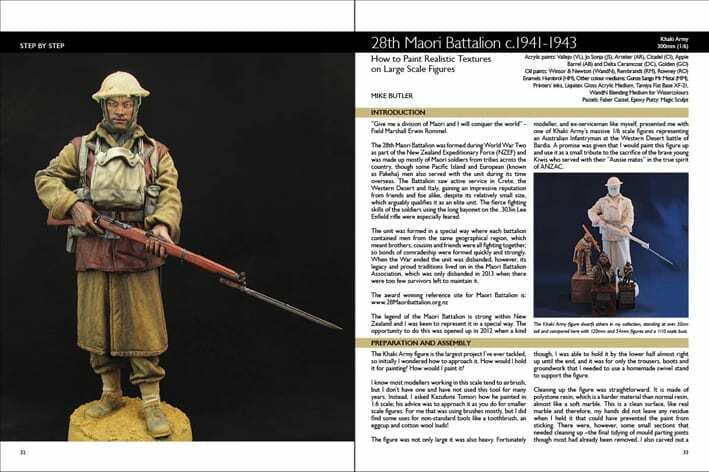 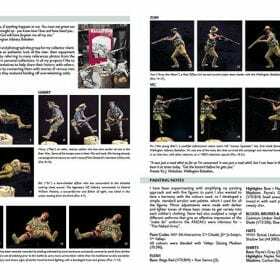 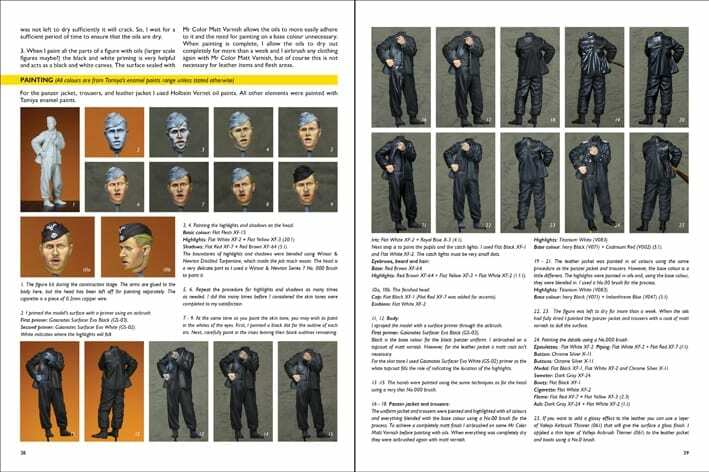 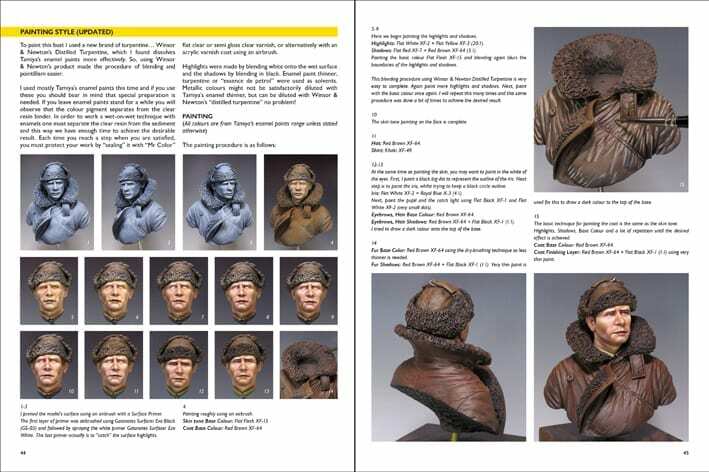 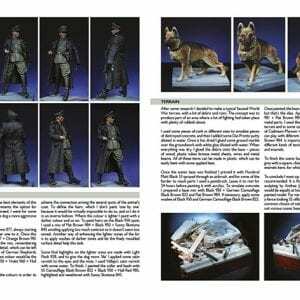 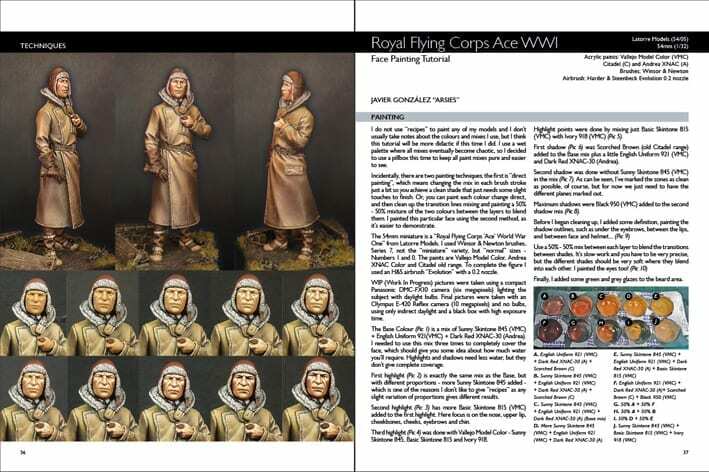 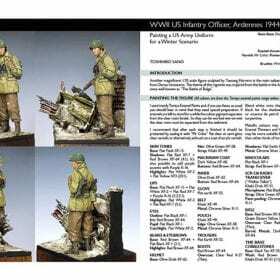 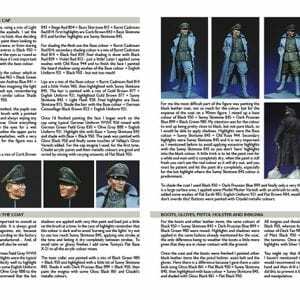 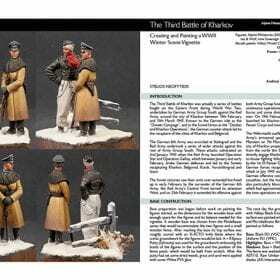 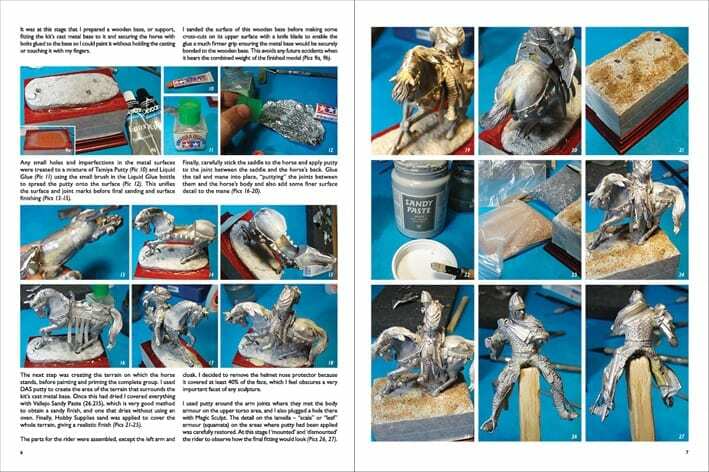 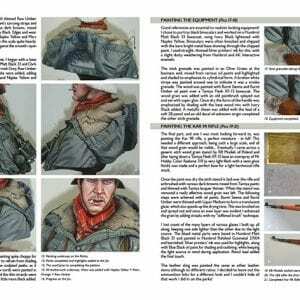 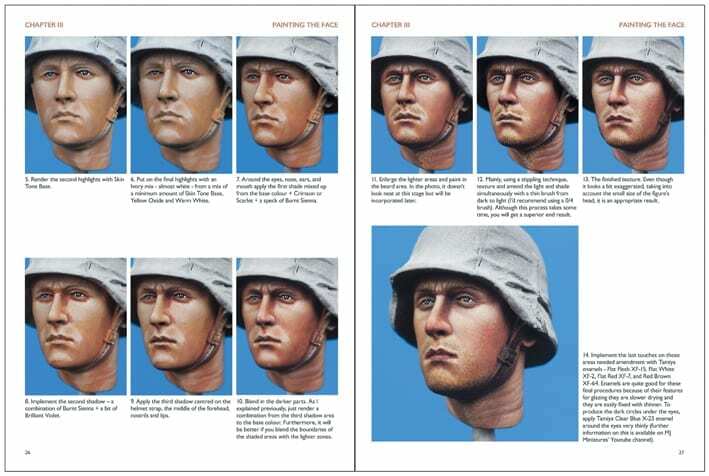 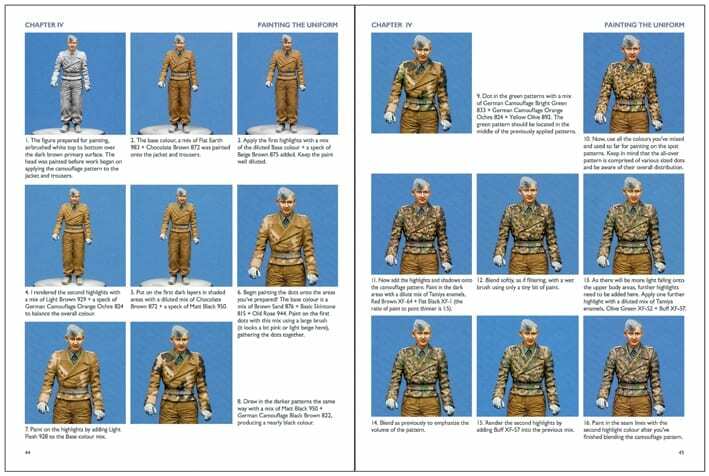 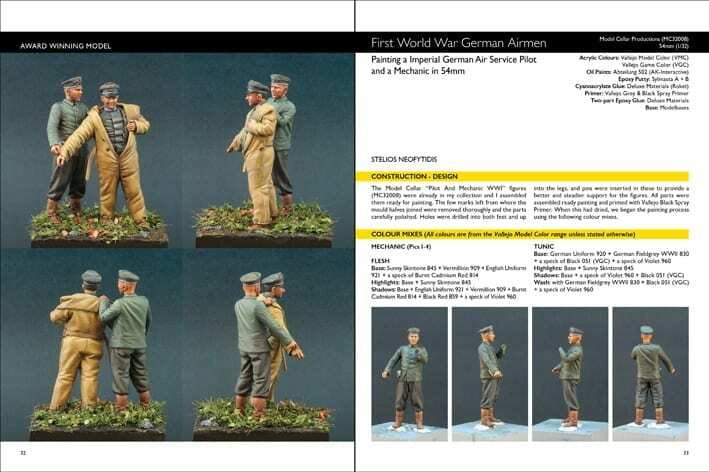 This is the ultimate painting guide by the Korean master figure painter and artist Man Jin Kim showing how to paint miniature figures in German WWII uniforms using acrylic paints. 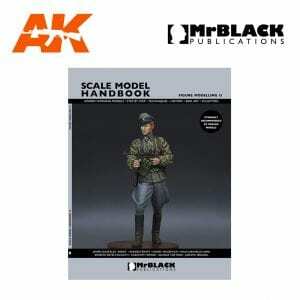 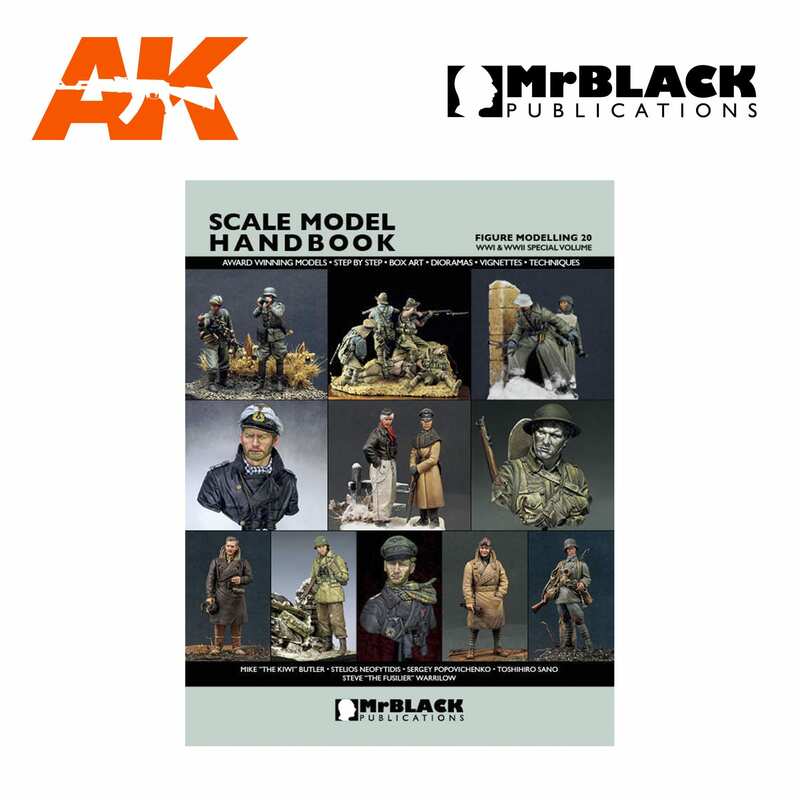 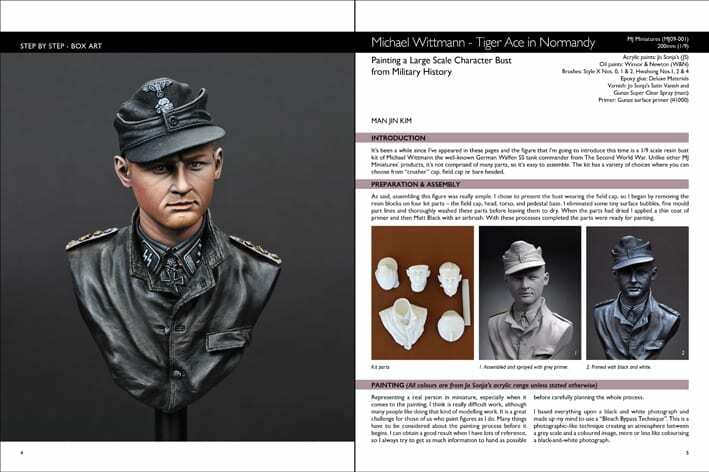 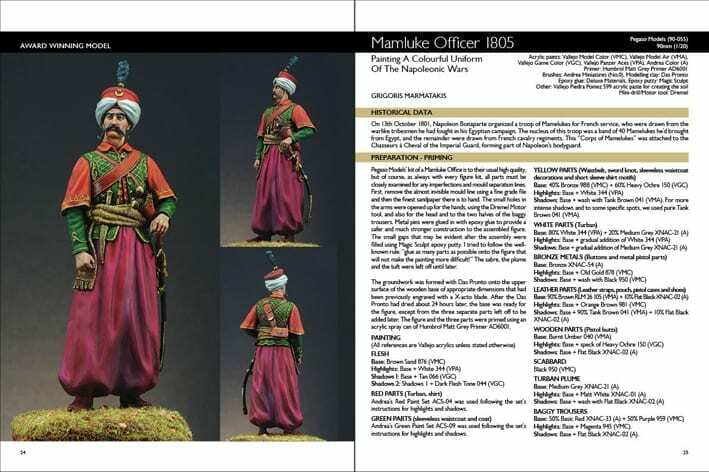 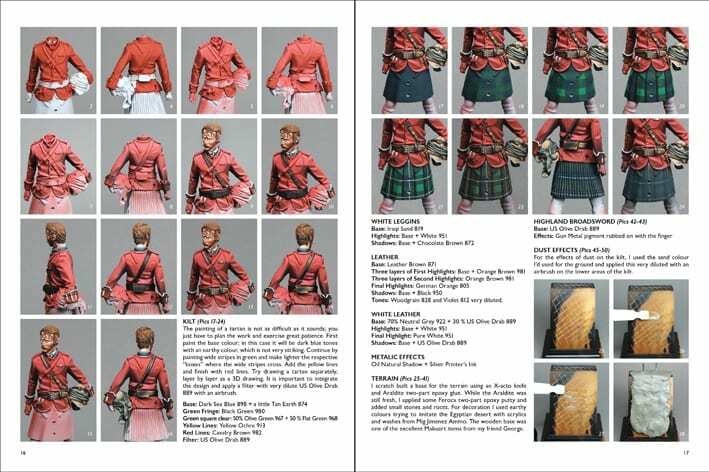 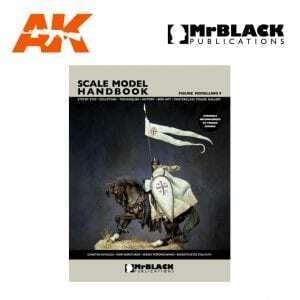 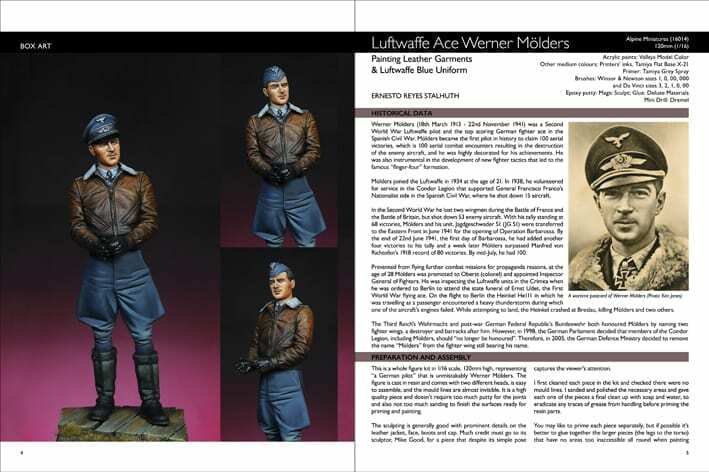 Mr Black Publications is proud to bring you this awesome work, first published in the Korean language, with an English text where over 84 pages cover the most important aspects of painting German uniforms in miniature. 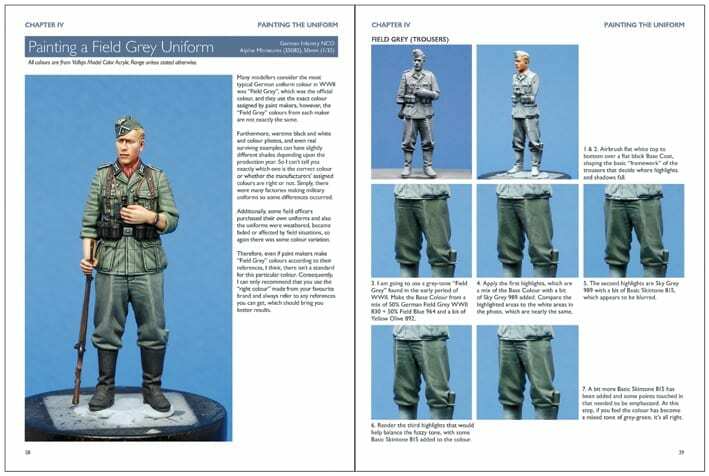 Field grey, black and white, leather uniform items, camouflage accessories and scenery. 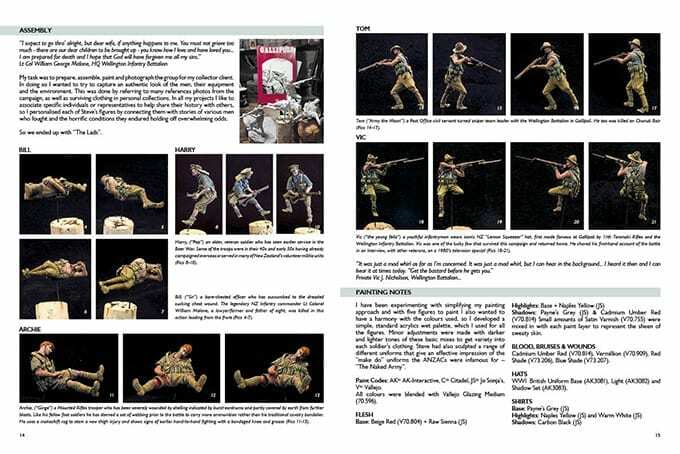 Inside are more than 300 photos, and around 280 of them are step-by-step sequences. 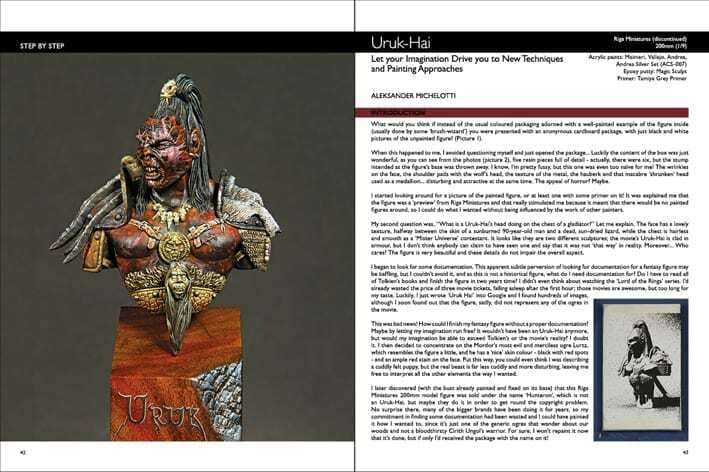 The first chapter is dedicated to tools and assembly, the second on using acrylic paints and the third is about face painting. 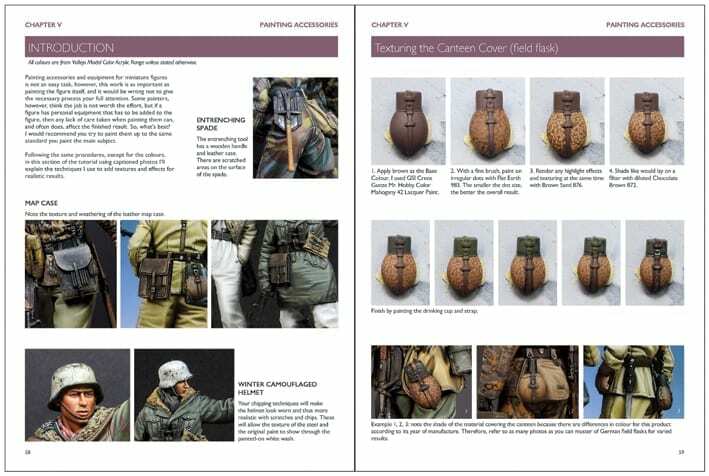 The fourth chapter covers painting uniforms, the fifth accessories whereas the sixth looks at scenery. 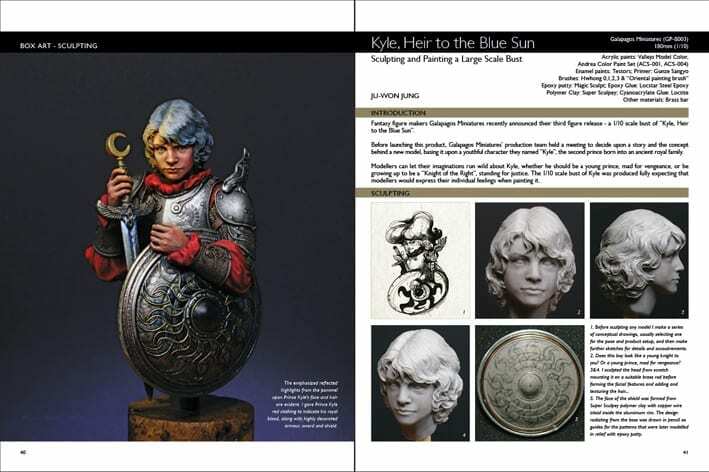 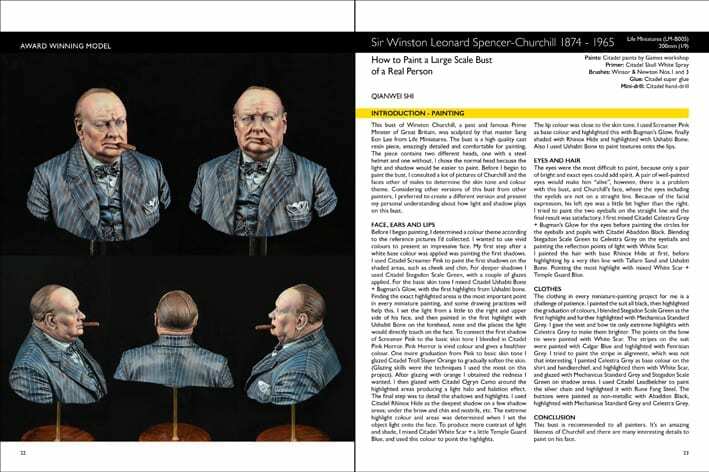 The seventh, and final, chapter presents a gallery of masterly painted figures, busts and vignettes by the author illustrated with really big and sharp photos that reveal even the smallest details of each model subject. 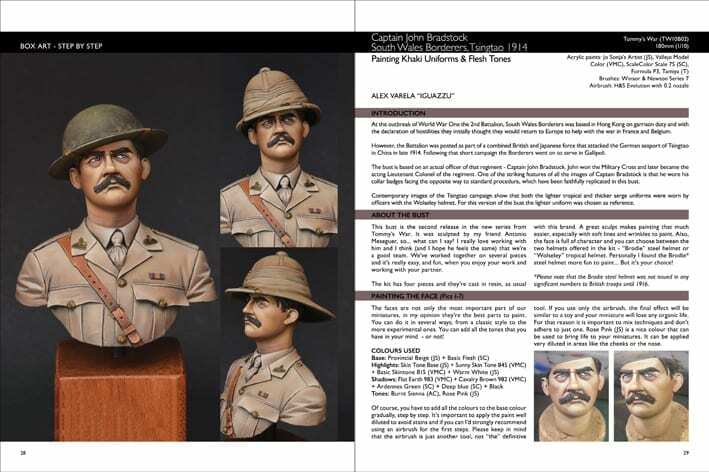 In this issue a variety of themes and techniques is featured; painting different textures and metals, a colourful uniform of the Napoleonic Wars, a large-scale WWII bust and two WWI figures placed on a trench section. 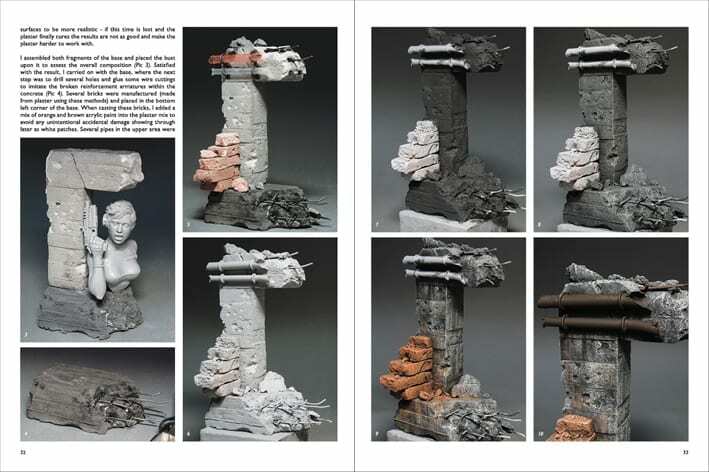 They have also included techniques on creating and painting bases and scenic settings. 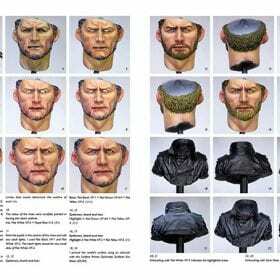 The Maori article on how to paint realistic textures on large-scale figures is a new approach on combining various paints and mediums. 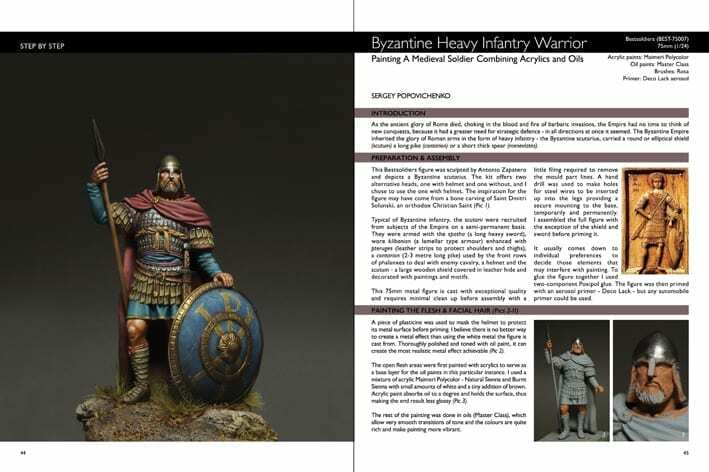 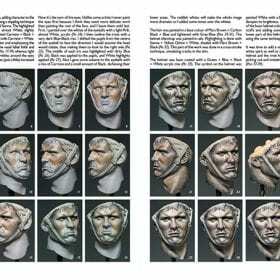 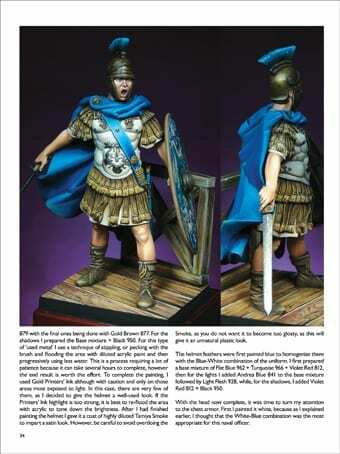 Once again their contributors share their techniques for sculpting and painting their masterpieces and they welcome four new artists: Ju-Won Jung (Box Art – Sculpting Kyle), Ioannis Tsiktsiris (Hidatsa Warrior), Carlos Startin “Carlos FigureArt” (Stalingrad) and Jésus Gamarra (Ottoman Warrior). 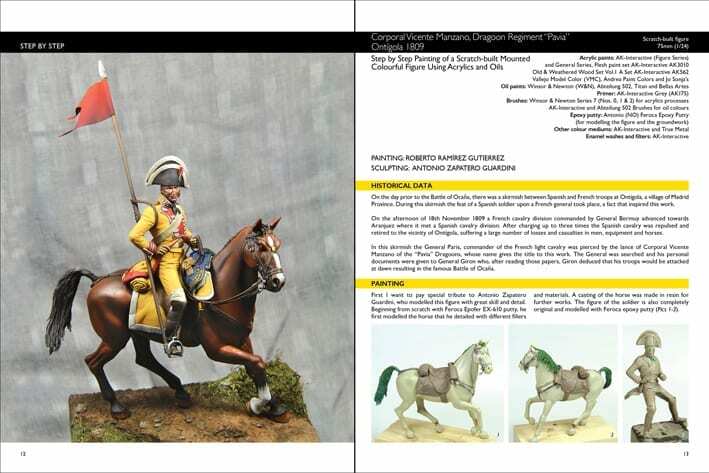 Jésus did the “Bailen 1808” article in their first Diorama Modelling book, but this is his first article in the Figure Modelling series. 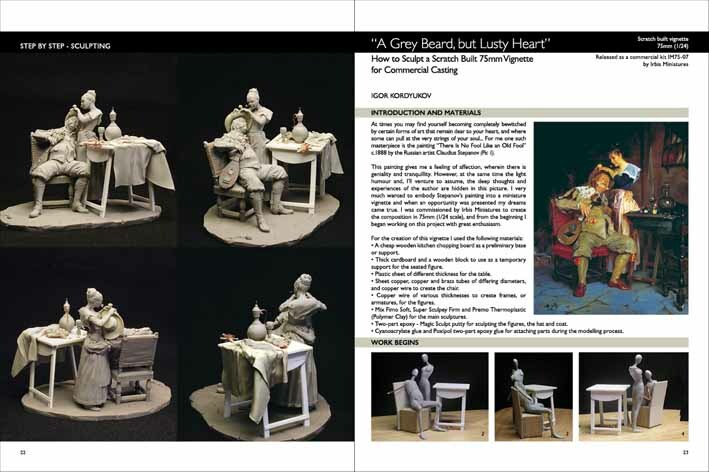 Herein, youll find how to paint commercial miniature figures using acrylics, oils or enamels, make groundwork and scenery for presentation. 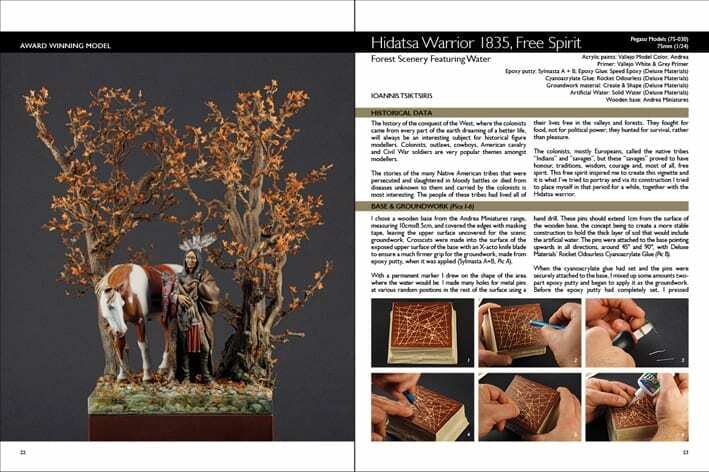 Everything is contributed by well-known miniaturists that we are sure will inspire you and, we hope, keep you occupied for many hours. 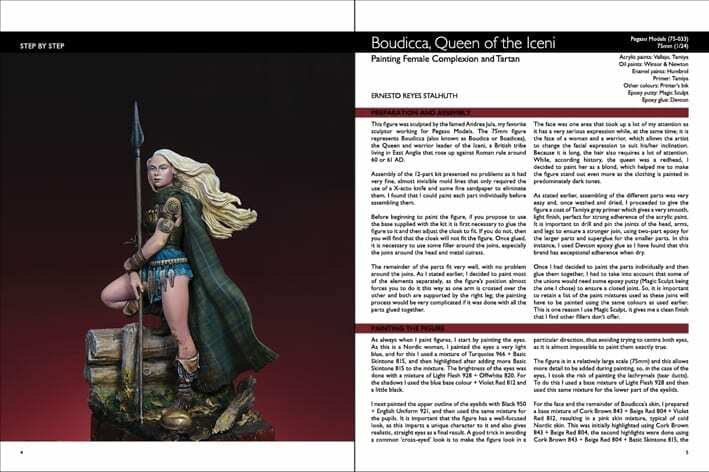 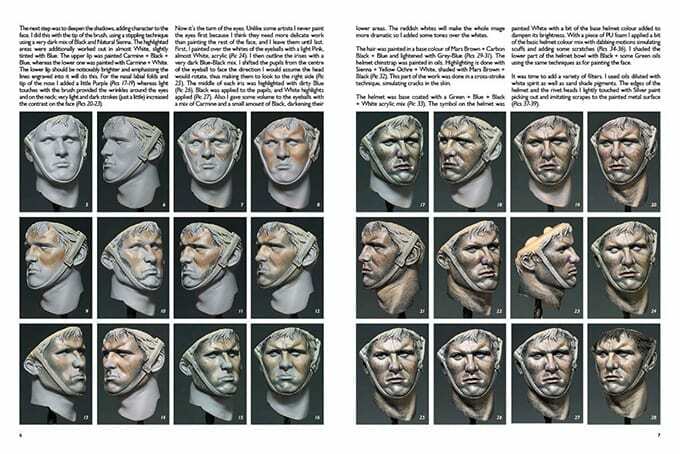 In this book they have introduced a fantasy article based on a bust made by Riga Model some time ago, which unfortunately is now unavailable, as the company ceased production and closed down. 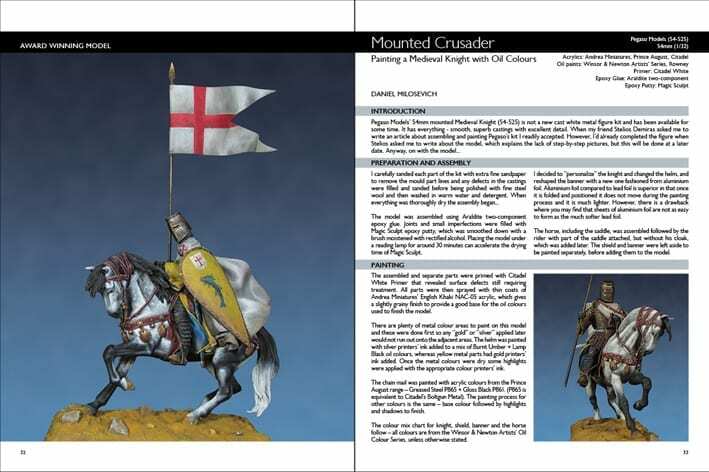 This edition features a variety of themes and techniques – painting different textures, fabrics and metals, using oil and enamel colours as painting mediums. 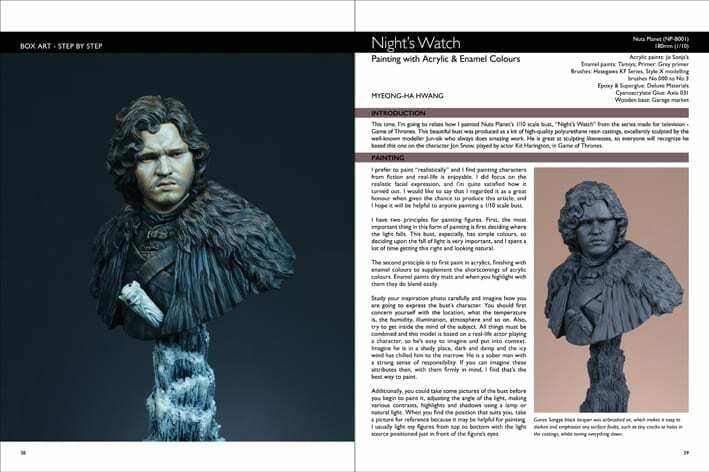 Three large-scale busts are featured; one a Second World War subject, a 120mm sculpted by Mike Good and a fantasy depicting John Snow from “Nights Watch” painted by the talented Korean artist Myeong-ha Hwang and appearing for the first time in a Mr Black Publications edition! 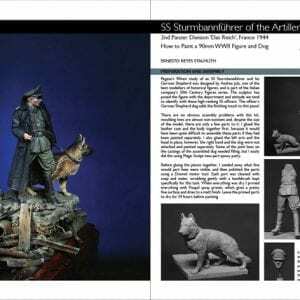 This time offer eight articles from six well-known miniaturists with tips and techniques, information about modelling miniature figures, vignettes and small dioramas, from ancient times up to the Second World War. 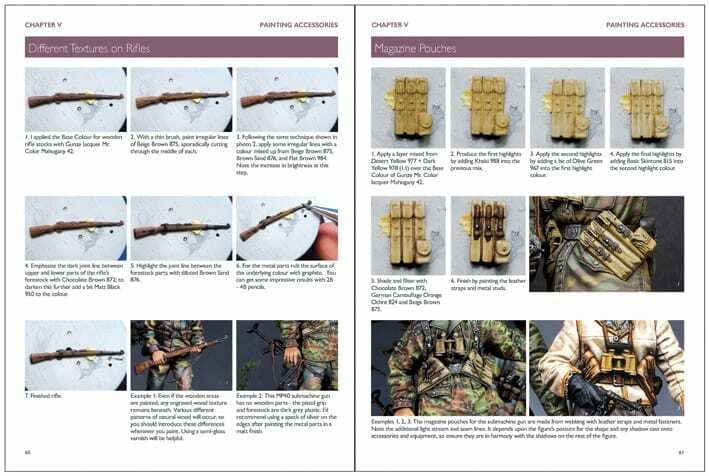 Most of the articles herein are covered in great detail with lots of step-by-step photos and explanatory texts. 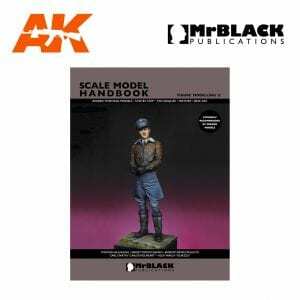 This is the 13th book in the Scale Model Handbook series, again presenting lots of information, techniques and tips about modelling miniature figures. 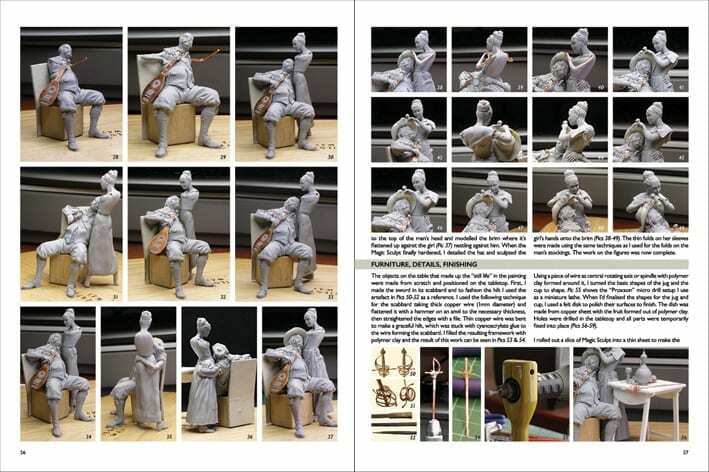 This time they have nine articles from eight well-known artists. 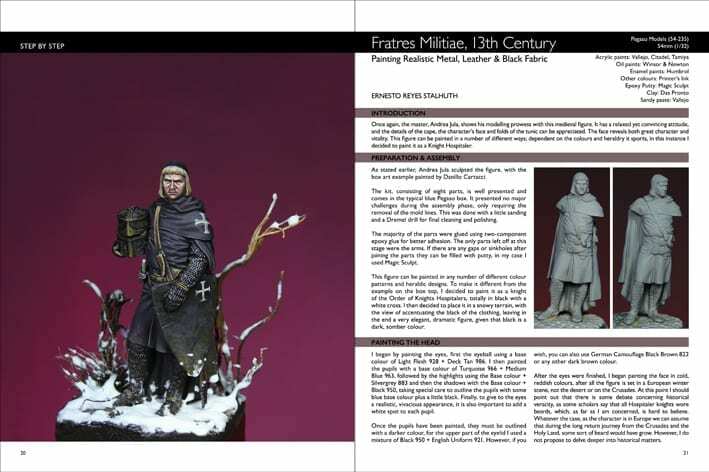 Once again their contributors share their techniques for sculpting and painting their masterpieces and they welcome four new ones, who are already established artists, to this edition – Daniel Milosevich, Juanma Vergara, Isaac Jaramillo Sama and Anders Heintz. 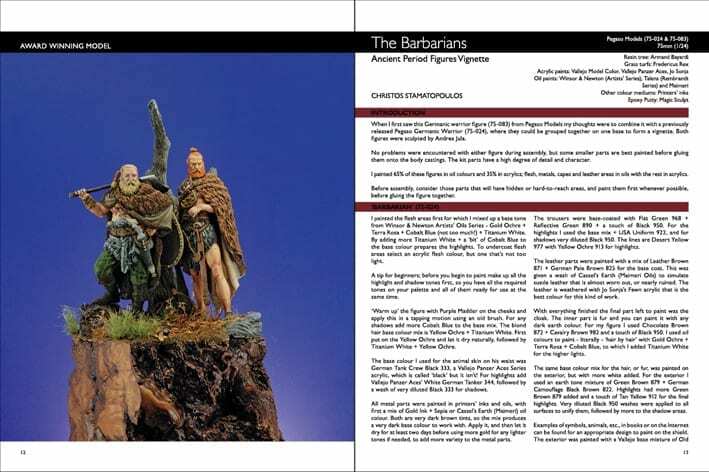 This new series will bring to you books with articles collection previously published in our editions and dedicated to one theme. 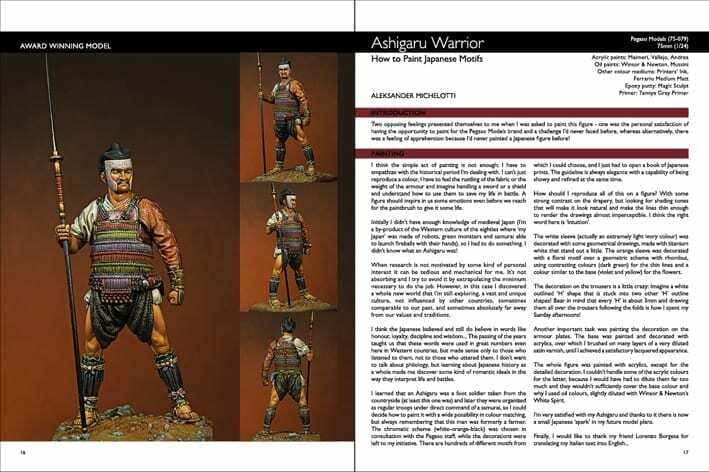 Each book will include chosen articles to cover a specific theme.